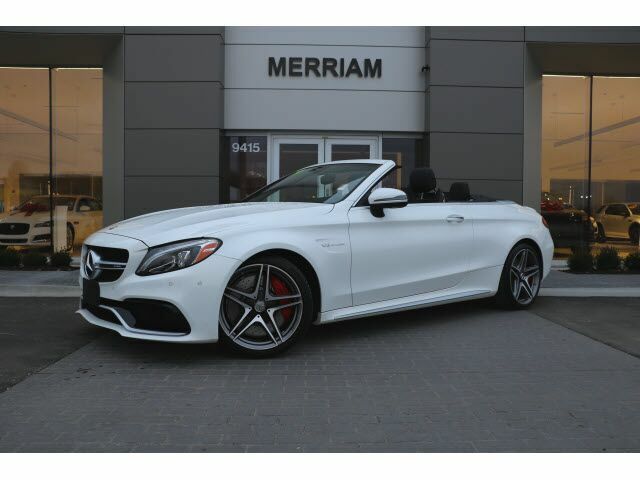 ***Over $5,000 UNDER NADA VALUE*** Like New 2018 C 63 AMG S Cabriolet 503 HP and 516 LB FT TQ! 1-Owner We Sold New, Clean Carfax, Client Traded it for a New Maserati we had! Very Nicely Optioned with Premium I Package, Multimedia Package, Advanced Parking Assistance Package, AMG Illuminated Door Sills, Blind Spot Assist, AMG Track Pace App, 19 inch AMG Wheels, Heated Front Seats, Multicolor Ambient Lighting, LED Headlamps, KEYLESS-GO, AMG Ride Control Sport Suspension, and More! Please Contact Brian Stacy 1-855-979-0255 to Test Drive Today! Aristocrat Motors, Kansas City's premier luxury dealer strives for the highest levels of customer service. Voted "Best in Business" by the readers of Ingram's magazine, our customers are our number one priority.